Who is in your family? Do you have a brother? All around the world people have brothers. How are they like your brother? How are they different? 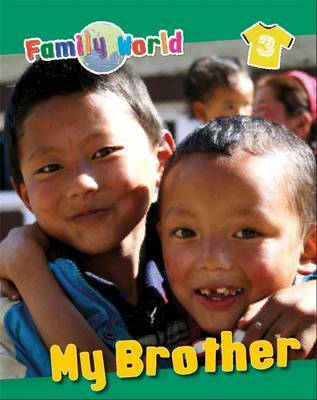 In this book, find out about brothers and their families all around the world. 'My Brother' is part of the 'Family World' series. It looks at key family members and the variety of roles that they play in children's lives all around the world. Each book has easy-to-follow sentences with simple questions to open up discussion. They are packed with engaging photos of families all over the world for the reader to explore.